Dialysis is a treatment that replaces some of the essential functions that your kidneys can no longer provide. Peritoneal dialysis (PD) is a type of dialysis that uses the lining of your abdomen (tummy), called the peritoneal membrane, to filter out excess fluid and waste products (toxins), which your kidneys are unable to process or get rid of. This dialysis works by filling the abdomen with dialysis fluid through a peritoneal dialysis (PD) catheter. Waste products and excess water are drawn into this fluid during dialysis. Several hours later, the fluid which now contains the waste products, is then drained out and replaced with fresh fluid. This process can also be carried out overnight using a machine called an automated peritoneal dialysis machine. A nurse will be assigned to you and they will carry out your training for peritoneal dialysis usually in the home, around 2 weeks after your PD catheter has been inserted. What is a peritoneal dialysis catheter? A peritoneal dialysis catheter is a soft plastic tube. One end comes out of your abdomen, whilst the other end of the tube sits low down inside your abdominal cavity. The end of the tube on the outside is small and can be tucked under your clothes. The PD catheter is inserted during a short operation, which is usually performed while you are under a general anaesthetic so you would be asleep. In some cases it may be done under a local anaesthetic and you would be awake during this procedure. This decision is based on your medical condition. Diagram showing position of peritoneal dialysis catheter. National Institute of Diabetes and Digestive and Kidney Disease (NIDDK) (2009) Treatment Methods for Kidney Failure: Peritoneal Dialysis. 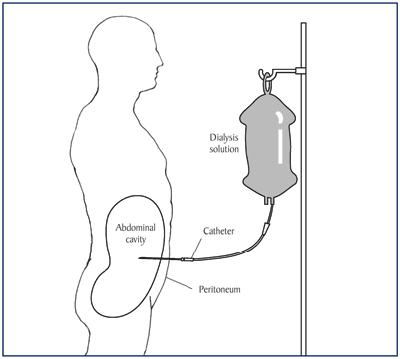 How do I prepare for insertion of a peritoneal dialysis catheter? 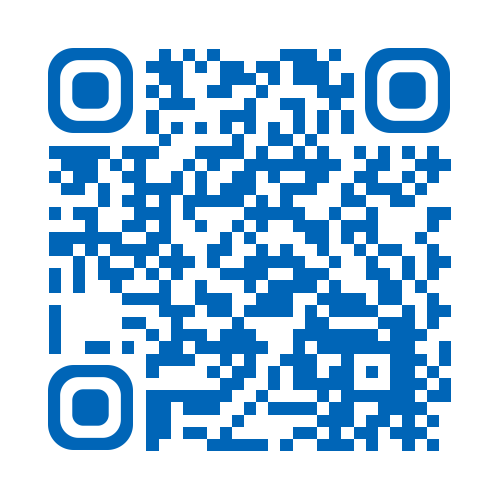 Please read this information leaflet. Share the information it contains with your partner, family and friends (if you wish), so that they can be of help and support. There may be information they need to know, especially if they are taking care of you following this procedure. Pre-operative swabs from your nose, groin, underarm and navel (tummy button) will be taken. If these show that you have bacteria (bugs) on your skin, which may cause a wound infection, then this will be treated and you will be re-swabbed before your operation takes place. If you are taking warfarin your surgeon will advise you whether to continue or stop this medication. Three days before your operation, you must start to take laxative medicine every day. This will ensure that your bowels are opening regularly and will not affect the performance of the PD catheter when you start dialysis. These laxatives will be prescribed by your GP at our request and we will telephone you to remind you when to start taking them. You will be asked to come into Hull Royal Infirmary, either on the day before or on the morning of your operation. You may be asked to contact the ward prior to admission to ensure a bed is available. You will be seen by the doctor or nurse who will ask you some questions about your health and medications and ensure you are fit for surgery. Any questions you have will be answered. You will usually be allowed to go home the same day or the day after your operation, depending on your general condition and what time of day your operation was performed. You must not eat or drink anything for 6-8 hours before the operation (nil by mouth) and you will also be asked not to smoke or chew gum. You will be asked to have a shower on the day of the operation (this may be at home before coming to hospital). You will be asked to put on a gown and an identification band for theatre. The position where your PD catheter will be situated will be discussed with you and the area marked. This will take into account where you normally wear your waistband and which side you like to lay on in bed. As a standard practice, you will also be given some antibiotics as a precaution against infection. When you return from theatre, you will have a small cut on your abdomen underneath your navel and the small wound where the PD catheter is. When you return to the ward your blood pressure and pulse will be taken. You will be given a drink and when recovered fully, offered something to eat. It is expected that you will be up and about later the same day and may be allowed home. You should not drive or lift anything heavy for 6 weeks following your PD catheter insertion. About one week after the operation the PD nurse from Hull Royal Infirmary will come to your home and change your dressing. Do not touch or remove the dressing or allow others to do so. An appointment will be made for you to attend the PD clinic at Hull Royal Infirmary. You will no longer need to attend the Low Clearance clinic. Some PD fluid and other supplies will be delivered to your home prior to your PD training commencing. The nurse will commence your training usually in your home, two weeks after your operation but may be sooner or later depending on your individual dialysis needs. Your training will take a few days. Your PD nurse will visit you in your home regularly to review your progress. There will always be somebody available for support or to answer any questions that you may have. As with any abdominal operation there are some risks which will be explained to you before you sign your consent form. You may experience some discomfort following the operation and you will be given pain relief medication should you need it. Infection and bleeding are also minor risks from this type of surgery. It is very important that you continue on your prescribed laxatives whilst on PD, to ensure the PD catheter works properly. Should you require further advice on the issues contained in this leaflet, please do not hesitate to contact the Home Dialysis office on telephone number (01482) 674979, or the Renal Ward at Hull Royal Infirmary on telephone number (01482) 674980.